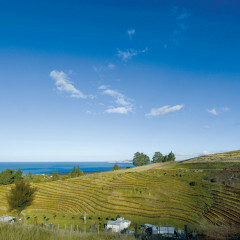 Esk Valley is considered one of New Zealand’s top red winemakers. Esk Valley’s reds are Merlot based and their flagship wine, “The Terraces” is a blend of Merlot, Malbec and Cabernet Franc. 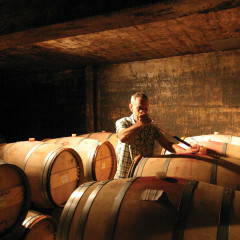 This iconic wine is only produced in exceptional years. 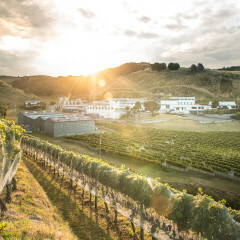 The Esk Valley Winemakers Merlot-based red from the GIMBLETT GRAVELS WINE GROWING DISTRICT is one of New Zealand’s top show performers with a tally of gold medals and trophies as is the Winemakers Gimblett Gravels Syrah. 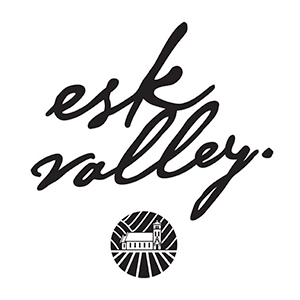 Esk Valley also produces high quality white wines, notably their Winemakers Chardonnay. The less expensive Vineyard Selection range includes Merlot/Cabernet Sauvignon, Merlot/ Malbec Rose, Syrah, Chardonnay, Chenin Blanc, Verdelho, Pinot Gris, Sauvignon Blanc and Riesling.